Think Tank EUROPA hosted a high profiled conference on Jan 14, “Europe´s choice – The Next Five Years including speakers like Lars Løkke Rasmussen, Prime Minister of DK, Margrethe Vestager, European Commissioner for Competition, Mette Frederiksen Leader of the Social Democratic Party. 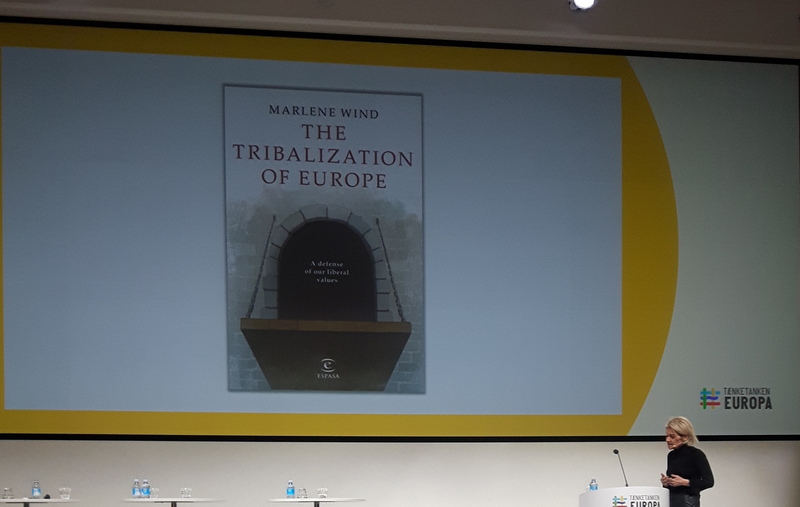 IUC´s Nina Nørgaard took part, and in her opinion one of the most interesting speeches of the day was given by Professor Marlene Wind from the University of Copenhagen, introducing her new book “The Tribalization of Europe” – A defense of our liberal values. Also the think tank presented interesting new data – The EU Sensibility, prejudice and persuasion – with hip reference to to Jane Austen.